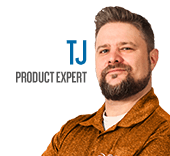 If you are installing a mini split system but you don't have enough clearance for a standard wall-mounted unit in a given room, there's an easy solution for you. Floor mounted mini split units mount at the bottom of the wall near the floor, so you don't have to worry if your ceilings are too low or your windows are too high. Although not the first choice in a typical installation, they can be a lifesaver in difficult areas. Depending upon the layout of the room, a floor-mounted indoor unit might be just what you're looking for. If you've ever been in an attic bedroom, you know how cramped they can be with slanted ceilings making it worse. These kinds of rooms have very little vertical wall height due to the slope of the ceiling making it nearly impossible to mount a wall unit or a ceiling unit due to the ceiling's slant. This is where you will need a floor mounted mini split system. The floor mounted unit installs at the bottom of the wall, so it's more likely to fit where it's supposed to. You may also use them in other rooms when you don't want to install wall or ceiling mini split units. Floor mounted units get installed on the lower portion of an exterior wall, 6 inches above the floor. From there, the connecting wire, line set, and drain tubing will exit through a 3" hole to the outside and connect to the outdoor condenser. The outdoor unit isn't included and the floor mounted mini split unit itself is not capable of heating or cooling without it. Avoid installing the indoor unit in a place that gets direct sunlight. Direct sunlight on the unit will effect its accuracy in determining indoor temperature, and will result in too much output from the unit. For better temperature control, mount the unit a reasonable distance from any direct sunlight spots. Also don't install your unit near a television, microwave, or any other appliance that gives off electromagnetic interference. This will ensure you have clear communication between the remote control and the unit for changing temperature or output settings. Don't install the unit behind furniture to hide it. The furniture will block the air flow and reduce the performance of the unit. 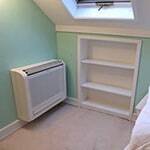 Install the unit in a place where it's unobstructed and can blow cool air across the length of the room. Unrestricted air flow will allow the unit to more effectively and efficiently condition the air in the entire room. Some floor mounted mini split units are capable of being mounted on the wall near the floor, or on a flat, horizontal ceiling. This allows for more options if it turns out you don't have enough room on your wall, but have a flat ceiling with enough space to install the unit. 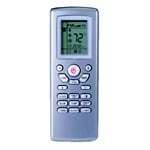 Most units include a handheld remote, but it's possible you may find some units that include a hard-wired wall mounted control. Carefully look through the details on any model you're considering to ensure it has the types of controls and mounting you seek. 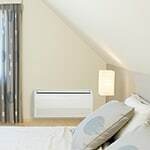 Attic Bedroom Air Conditioning - How to Pick the Perfect Mini Split Floor Mounted Indoor Unit. Our heating, ventilation and cooling equipment how-to library can help you pick the perfect comfort solution for your home.